What is the Folder Plugin? 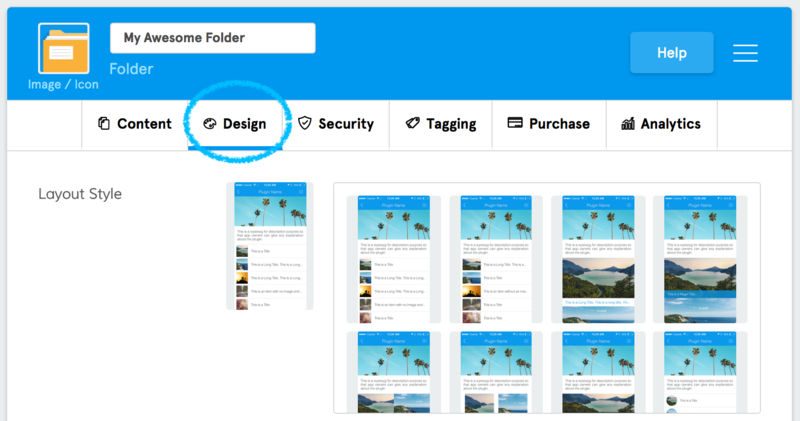 The Folder Plugin is a great way to both organize your content and add variety to your app! It allows you to categorize your plugins so that you can guide your users to the app’s content in an organized way and also add visual diversity to your app. What are some use cases of Folder Plugin? If you’re creating an internal app, you can use Folders to categorize the type of resources you provide to your employees such as training docs, calendars, forms, etc. If your app has a blog, you can use the Folder Plugin to house all of the posts and sort them by category, date, author, or any other way that you’d like to organize them. What are the Folder Plugin’s primary functions and what are the steps to accomplish them? Folders provide some amazing functionality as described in the introduction, but read on to see what some of the core features are and how to set them up. Step 5: Start making your app look awesome! Now that the Folder's been assigned as your Home Plugin, you can begin adding content to your app! If you ever need to get back to this particular plugin, simply click on the “Home Screen”. The Folder Plugin is a great way to organize your app and lay out how you would like users to navigate your app. First you will want to create a Folder Plugin to hold the other plugins that you’d like to bring people to. If you don’t know how to create a Plugin, you can learn how to create and enable marketplace features here. 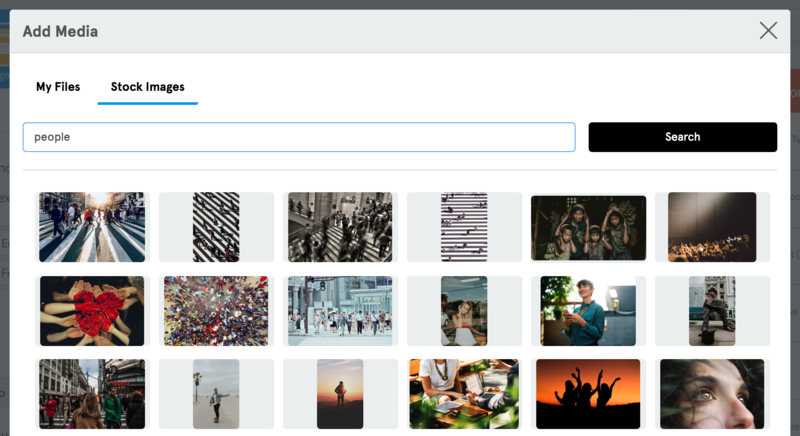 We'll use Social Media for this example, but you can use the Folder Plugin in a number amount of ways including, but not limited to, what we outlined above. 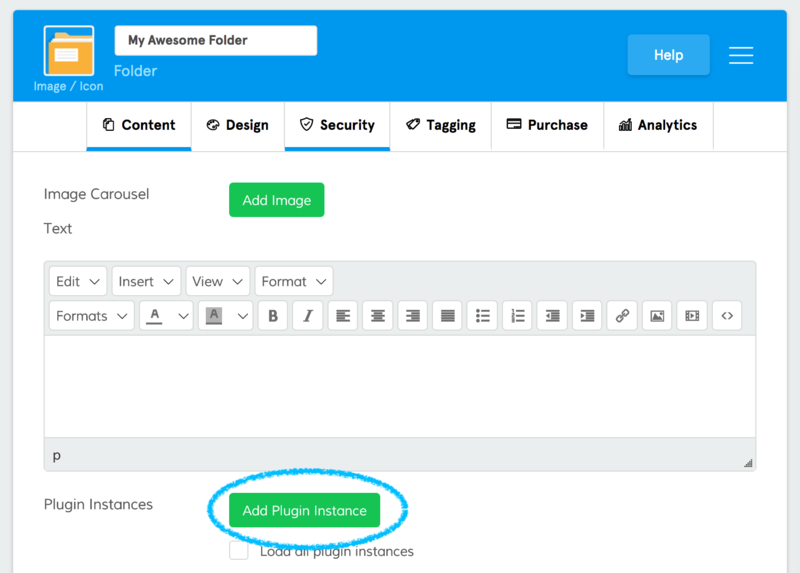 Once you have created a Folder Plugin add the plugins that you would like to house within that Folder Plugin by clicking “Add Plugin Instance”. You can find a number of different layout options under the “Design” tab that allow you to add visual variety to your app! Did you know that you can put Folders inside of Folders? Well you can! This is a great way to organize your app! Let’s say you are building an app for a conference. You can use Folders to categorize all of your different media types in the app. Simply make a folder for each media type (audio, video, blog, etc.). And put them in a master folder named “Media” (or whatever you’d like to name it). Your app’s artwork is a vital component in making your app look awesome and appealing to your user base. To make it easy for you, we've even created a "Stock Images" tab that provides you with thousands of high quality images from professional photographers around the world. Just open the Media Library and click on "Stock Images". Don’t be fooled. The Text WYSIWYG (which stands for What You See Is What You Get) is much more than just text! With it, you can also add images, video, and embed forms within a variety of plugins in your app. Since this is a core component, we’ve created dedicated articles about how to use the Text WYSIWYG here.